Do you rely on older, obsolete equipment to keep your business productive? Are you puzzled as to why certain production equipment / components continuously fail? Are equipment failures hurting your bottom line? If you answered “yes” to any of these questions, there is hope. PSI’s Engineering Services Department is home to the most talented engineering minds and advanced diagnostic equipment in the industry. We help our customers get to the source of electrical and mechanical performance problems so they can make better, more cost-effective decisions. Options include PSI’s Custom Test Program, Root Cause Analysis, Component Upgrade Services, Remanufacturing Services, Legacy Product Manufacturing Services and First Article/Prototype Design Services. 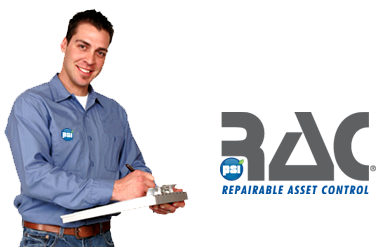 No other repair company on the planet has an Engineering Services Department quite like PSI. It’s what separates PSI from the competition. Call us now to learn more about PSI's Engineering Services at 800-325-4774. Over the years, PSI has invested millions of dollars on the most advanced diagnostic equipment in the world. 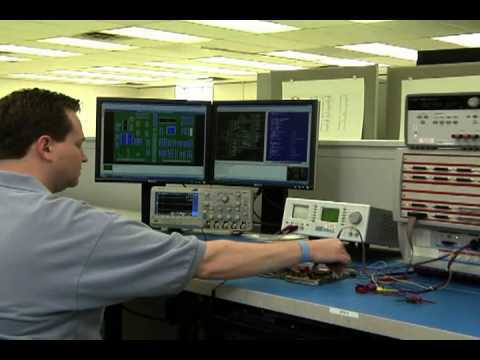 We developed our Custom Test Program, which utilizes the latest universal in-circuit test equipment, to detect hard part failures, as well as parts that have degraded due to stress, right down to the microchip level. It even detects which components are likely to fail in the near future. Having this type of insight allows our customers to save valuable time and money. When you need to get to the source of the problem, PSI’s Custom Test Program is an invaluable tool. PSI’s Engineering Services team will help you get to the bottom of recurring failures with its intensive root cause analysis service, which utilizes the Pareto Principle that by doing 20% of the work you can generate 80% of the benefit of doing the entire job. Our experienced professionals will identify the events that trigger the cause-and-effect chain, which ultimately leads to your recurring problem. Then, with a complete picture of the situation, our experts will customize a solution that includes all the required corrective actions to eliminate the problem. For electronics, many of the issues are often related to poorly designed circuits or weak/underrated components, which require design improvements. So, don’t throw money away by treating the symptoms. Have PSI resolve the entire problem once and for all. Tired of dealing with a component that continuously fails? In many situations, PSI can improve upon legacy design with newer, more reliable technology, such as a commercial-off-the-shelf (COTS) replacement. That’s right. PSI can take your problematic component and improve its performance, all while extending its life. Our skilled engineers take tremendous pride in looking for solutions to improve component performance. For more information, check out this case study. Is your circuit board, controller or power supply unsalvageable or obsolete? Don’t worry. PSI offers world-class remanufacturing services that are second to none. We even offer remanufacturing services for precision mechanical parts/assemblies like pumps and ball screws. Our highly skilled workforce develops remanufacturing and test solutions for components that haven’t been seen before on approximately 1/3 of incoming units. We write programs and code to detect hard part failures, exercise 100% of the part’s memory and test to the OEM’s programs. Best of all, PSI provides fast turnaround for sustainment components – typically, days or weeks, not months or years. For more information, check out our case studies. PSI proudly offers legacy product manufacturing services and first article/prototype design services for customers who need a cost-effective solution to produce a small run of unique parts / components. Our knowledgeable engineers regularly make design improvements to old components to better fit the customer’s application, resulting in significant cost-savings and performance improvement. For more information, check out our case studies.